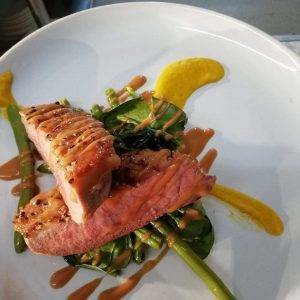 With there being so many mainstream restaurants in Derby to choose from, Littleover Lodge stands out from all the rest thanks to its traditional charm, quality homemade food, and beautiful refurbished interior. Combine all of this with our friendly and welcoming team and you’ve got the perfect place for dining in style this summer! Formerly a Georgian farmhouse and now renowned for being one of the leading family friendly restaurants in Derby, Littleover Lodge is brimming with history and character and holds many fond memories for the people of Littleover. As JC Hotels is a family run business, we’re passionate about helping families and friends to come together over honest feel good food. So, whether you fancy checking out our mouth-watering gastro menu or you’re craving a traditional carvery with all the trimmings, we guarantee to have something for everyone here at Littleover Lodge! 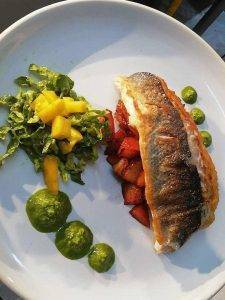 One thing that makes us stand out from all the other restaurants in Derby is our fantastic set of menus which cater for all ages and dietary requirements, including vegetarian, vegan and gluten intolerant options. To really bring the taste of summer to Derby, we have also recently introduced a new gastro menu that’s filled with summer inspired flavours such as tomatoes, basil, salmon, chicken, and fish – all of which have been carefully planned to create healthy, light, and wholesome dishes that everyone can enjoy! With the sunny weather now here, our patio area is now open so you can enjoy a delicious meal whilst making the most of the gorgeous weather. With our extensive drinks menu you can even accompany your food with a refreshing cocktail or soft drink for the ultimate summer vibes in the heart of Derbyshire! If you’re interested in dining with us this summer, we would love to hear from you! You can book a table online or you can contact us directly – as Father’s Day is just around the corner, we do recommend that you book early to avoid disappointment. For more information about our menus, or to find out more about why we’re home to one of the leading restaurants in Derby, please get in touch today!